Originally published in 1943, The Pigeon Ace tells the tale of Coo-coo, a brave pigeon who, along with his new wife, Flutter-flutter, is called to serve during World War II as a homing pigeon. 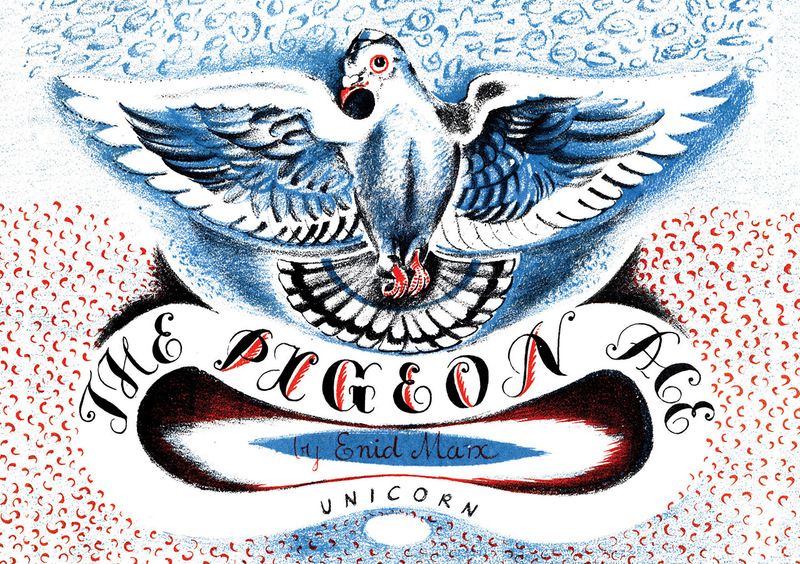 Enid Marx’s loving illustrations and entertaining plotting carry young readers through Coo-coo’s many adventures, including encounters with dangerously sharp-clawed cats and an immense hawk and skies full of deafening airplanes and fish-like barrage balloons at pigeon training. Eventually, Coo-coo travels to Africa, where he meets foreign bird-cousins and monkeys crossing the desert—until one day, without warning, he finds himself in the heart of the fighting and is forced to make the perilous journey back.